I could copy & make it myself but I appreciate that someone else already has made it and for what I’d save vs having to get all the components and everything else, letting the originator get paid seems like a good idea. Yeah I ordered one too. But I was thinking it would be nice to make smaller versions in different materials for gifts if my Glowforge comes in time! But what about 3rd breakfast? Or fourth? And then brunch? But what about 3rd breakfast? Or fourth? Well that’s just silly. 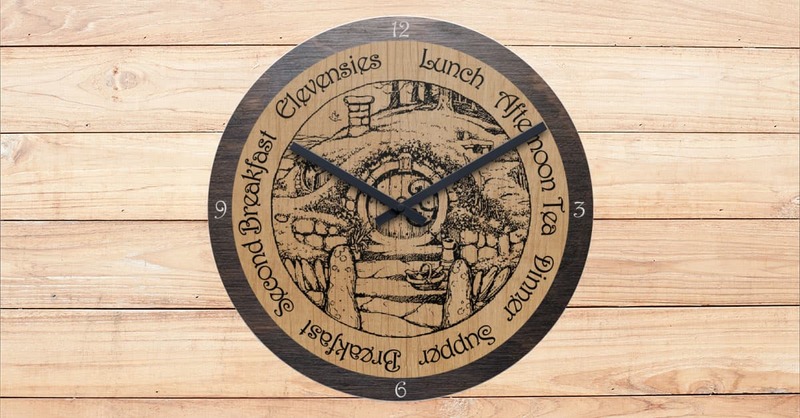 Every Hobbit knows there’s just 2 breakfasts. Then you’ve soundly broken your fast and it’s time for elevensies. Since first breakfast done properly takes you right into second breakfasts which then leads without delay to elevensies, there simply is no time for 3rd or 4th breakfasts. It’s only when adventuring that one can’t take appropriate time for breakfasts and there might be time spans where one is not eating or preparing to eat.